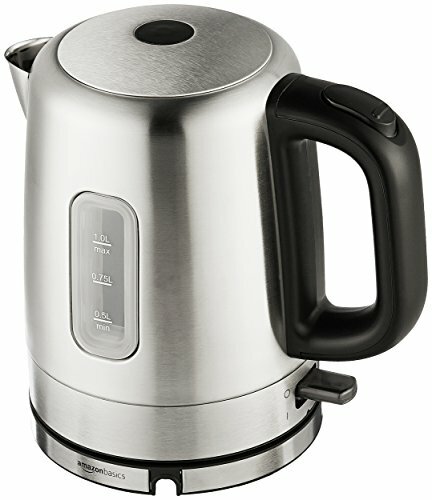 We reviewed dozens of electric kettles to identify the best of the best. We found the best glass kettles and ceramic kettles that have a classy design to better match your home and be perfect to set out on your counter at all times. We found cordless and double-wall insulated kettles and kettles with a goose neck to make your pour-over coffee come out just right every time. No matter what you want from your electric kettle, we’ve found the one for you. 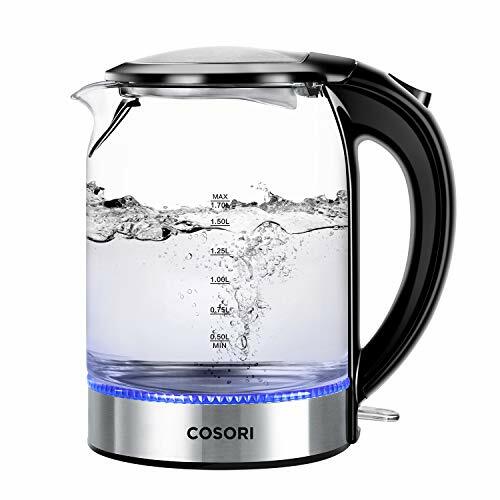 For an electric kettle that will meet all your needs, look no further than the COSORI Electric Kettle. 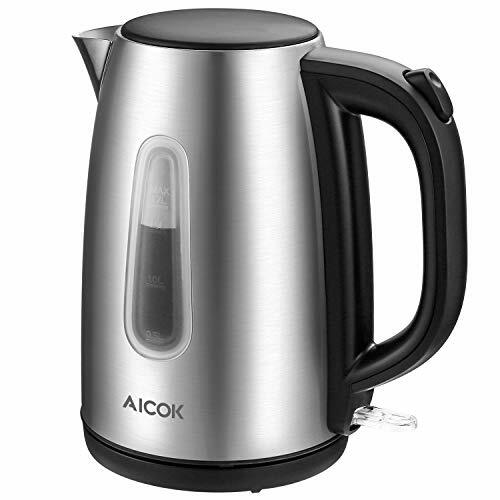 For a durable stainless steel electric kettle with stand the test of time, don’t overlook the Aicok Electric Kettle Stainless Steel Cordless Tea Kettle. If you’re interested in an electric kettle that will give you just what you need without breaking your budget, try the AmazonBasics Stainless Steel Electric Kettle. 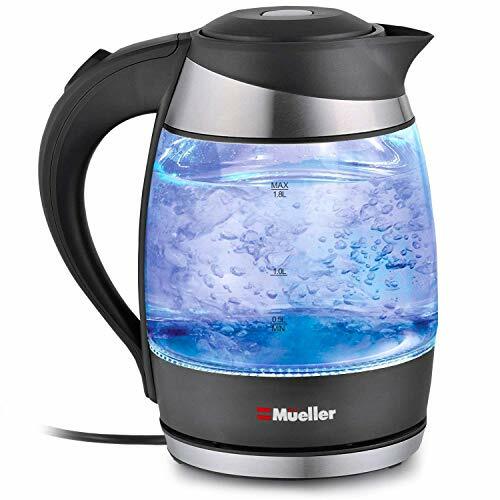 If you’re interested in a glass electric kettle, then you’ll definitely want to check out the MUELLER Electric Kettle Water Heater. 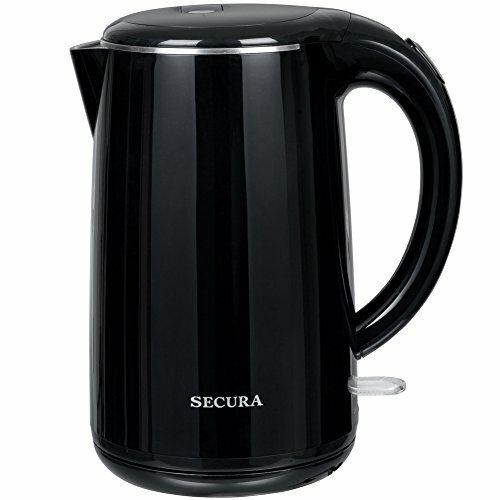 If you want to be able to pick your electric kettle up and take it with you to another room, water still warm, then take a good look at the Secura The Original Stainless Steel Double Wall Electric Water Kettle. Ceramic or glass. Ceramic kettles are, by far, the most aesthetically pleasing of all the kettles, there’s just no two ways about that. They’ll have the prints that most others don’t and just generally give a sophisticated look that you’ll love. Some argue that the way ceramic heats the water makes it taste best, but that’s definitely up to personal tastes and we doubt you’ll notice it much unless your palate is incredibly refined. Ceramic does stain easier and glass does cool faster so you’ll want to keep both of those in mind. The reviews on each of these types also seem to suggest that they’re more prone to leaking. (But you can mitigate that risk by finding the right kettle that probably has some plastic or stainless steel touches, too.) But, of course, the best part of any glass kettle is that you’ll have eyes-on, proof when the water within has boiled, how much is left, and whether or not you have any build-up residue that you’ll need to clean away.